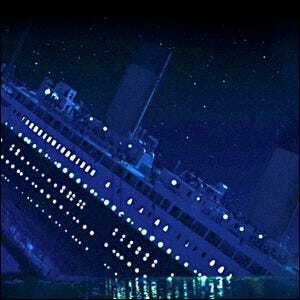 The Night Sky In The Movie Titanic Was Corrected At Whose Behest? Neil deGrasse Tyson is an American astrophysicist and outspoken defender of scientific accuracy in public discourse and communication. His passion for accuracy even extends to movies and throughout the 2000s he frequently used the inaccurate starscape of box-office hit Titantic as an example of poor research and delivery (in fairness, director James Cameron deserved this ribbing in light of his pitching the movie as an accurate representation of the ship and the time period). The revision to the starscape was the most significant change made for the 3D/Blu-ray re-release of the film.